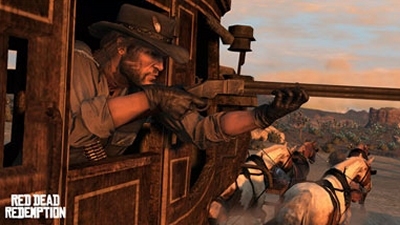 Red Dead Redemption isn't just about guns and horses. While John Wayne might turn in his grave, for me I found a microcosm of the world of employment. 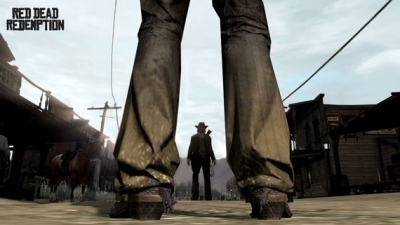 You are John Marston and have just been transferred from the bustling great urbanised Liberty City, to the West, a place where careers are either made or destroyed. Oh, and it�s in the country. You start in Armadillo, surrounded by locals that are by no means the prettiest bunch in the shed. It reminded me of the jobs I found myself in over many long hot summers, and conjured up a microcosm of gainful employment as I worked through the adventure. 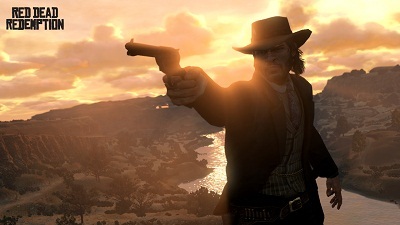 Red Dead is one of Rockstar�s more unique open world experiences, though to many it will seem like Grand Theft Auto with a different name. While you would be right in thinking that for the most part, without the urban landscape you find yourself willing to do more work inside the boundaries of the law. And besides, there aren't exactly a lot of people to kill so it�s probably best you keep them around. Like my summer job colleagues, the locals aren't the prettiest or the brightest or most supportive; but that didn't deter me from seeking out corruption and righting wrongs. 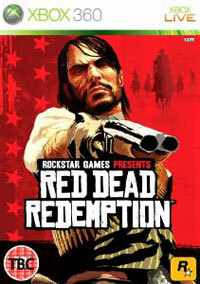 Like the slow realisation over those summers that I was surrounded by unusual colleagues -- to put it politely, to start with you meet pretty normal people in Red Dead Redemption: the likes of Bonnie McFarlane and the Marshal. These straightforward folk offer some cushioning for what comes next. It gets downright weird, from a tonic-selling all-talk travelling man, to a man who sleeps with the dead - and no I don't mean like that, though it wouldn't surprise me. Conjured up a microcosm of gainful employment as I worked through the adventure. You need these colleagues, even the strange ones, as much as they need you. Because of this it�s something of a jolt to find yourself ordered around by Reyes when you move on to Mexico. He seemed quite friendly, but his plans soon made me realised that I would have to do all the leg work and get none of the reward. As with any challenging job, it came as a relief to discover a range of distractions to get me through the day. 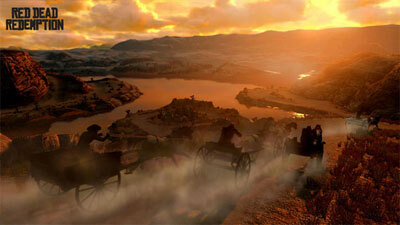 Every now and then you see a cart being hijacked, or a woman who just needs a ride to town. I was able to stroll from quest to side quest to quest without so much of cough or even a polite nudge from the game to get me to follow the story. The icing on the employment cake is that when you finally come a cropper, many years later your son - who looks quite like you - arrives as a knight in shining armour, dressed to kill. 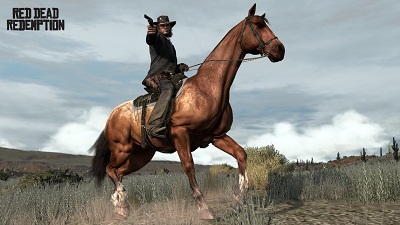 He has your abilities, your guns, your horses, and your houses and can carry on the family business of straightening out the Wild West. While some might find it too much like hard work, for me I relished this microcosm. 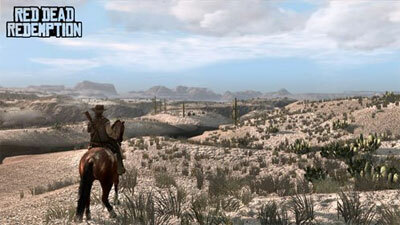 Red Dead Redemption is a brilliant open-world game. It doesn't give you the option to be anyone, but it does give you someone cool to be. While some might find it too much like hard work, for me I relished this microcosm. 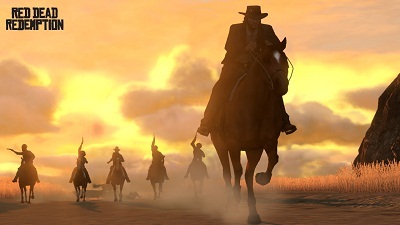 Cowboys might have once been a thing only seen in old films, but this video game is certainly a way to change that view. 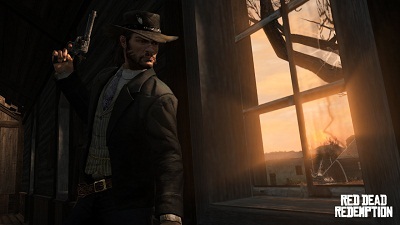 John Marston never got to ride into the sunset, but then I get the feeling he wouldn't even if could have -- he was simply married to the job.